When you take a murder mystery set in Washington and combine it with Chicago noise rock, you get Twin Peaks; when you get a double-LP live release and combine it with a larger U.S. tour schedule, you get one hell of an announcement. This is exactly what we got from Twin Peaks as they announced their fourth album release, Urbs in Horto, the live double-LP covering tracks from all across their discography, an album so big that it had to be put together using audio from two separate live shows performed at Metro and at Thalia Hall in their native Chicago. Urbs in Horto is a reference to the Latin phrase for “city in a garden,” which was adopted by the Chicago government in the 1830s. There is something raw and exciting about listening to a band perform in front of their hometown. There’s a natural sense of joy that emanates from the delivery of each song and in the band’s interactions with the crowd. 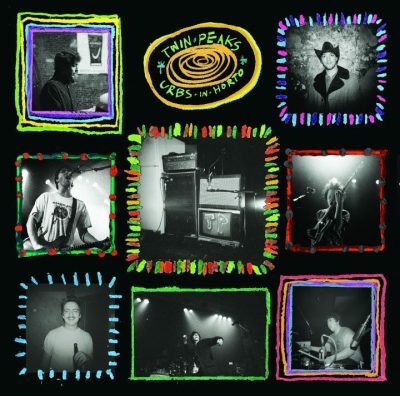 Urbs in Horto contains 18 songs from Twin Peaks’ catalog and also includes a cover of The Rolling Stones’ “Dead Flowers,” which the band dedicated to Keith Richards while performing on his birthday. This album seems to be an excellent callback to Twin Peaks’ garage rock days. Tracks like “Butterfly” sound better with live vocals, adding a bit of a deeper sound and a quicker pace to the track, reminiscent of Ty Segall. Twin Peaks kick off this live set with “Butterfly,” which, as stated before, has a more garage/punk feel to it. The album follows suit, ending on my favorite song of the set, “Strawberry Smoothie.” This final track has amazing energy, much like how a final song does during a live performance, capturing the joy of the band as the audience cheers.